Don't you just love these French Connection shoes? They're just fierce and I totally dig the eyecatching designs and the best thing is that they're on sale now and cost less than half of the former price. 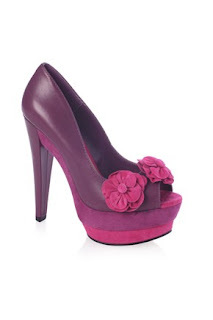 I thought I'd share this with you because who doesn't like a shoe bargain especially when it looks like this?